Dr. Jacobowitz received a Ph.D. from Hebrew University of Jerusalem in 1984 and has been with The Chicago School since 1988, first as adjunct faculty and since 1993 as program faculty. He has worked mainly in university/hospital settings, including inpatient and outpatient settings with some private practice work. Dr. Jacobowitz has a lifespan perspective with a generalist orientation. Working abroad for many years, he has extensive clinical work with people from many different national, religious, ethnic, and racial backgrounds. 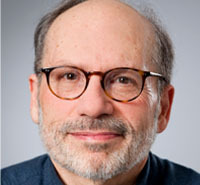 His clinical interests include applying and developing the psychoanalytic orientation to understand and treat psychopathology; examining lifespan psychology (how experiences from different life periods are interlinked); and educating students to become clinicians. He has extensive experience in interviewing, but in particular has worked more than 25 years interpreting objective and projective tests. Most of his experience has been with individual psychotherapy from a psychodynamic perspective, with some experience in group and family therapy. Dr. Jacobowitz's orientation has been primarily psychoanalytic and humanistic. His research experiences have spanned many different areas including student selection for graduate schools; psychosomatic phenomena; lifespan psychology; and leadership and selection in business settings. Shanan, J. and Jacobowitz, J. Personality and Aging, Annual Review of Gerontology and Geriatrics (Ed. C. Eisdorfer), Springer Publishing, New York, 1982. Jacobowitz, J. and Shanan, J. Higher Education for the Second Half of Life--The State of the Art and Future Perspectives. Educational Gerontology, 8, 545-564, 1982. Jacobowitz, J. and Newton, N. Time, Context, and Character: A Life-span View of Psychotherapy during the Second Half of Life. In R.A. Nemiroff and C.A. Colarusso (Eds.). New Dimensions in Adult Development, New York, Basic Books, 1990. Jacobowitz, J and Newton, N. Dynamics and Treatment of Narcissism in Later Life. In. M. Duffy (Ed). Handbook of Counseling Psychology and Psychotherapy with Older Adults, New York, John Wiley and Sons, 1999. Pratch. L and Jacobowitz, J. Successful CEOs of Private Equity Funded Ventures. Journal of Private Equity, 6-31, Summer, 2004. Student centered (a la Carl Rogers) technique: a mixture of clarity, humor, and the Socratic Method. I am kind of old school: psychology to me is a calling and an art, practiced more from the heart and curious intellect than from business interests. Observation, non-judgmental empathy, and making logical sense of the seen and inferred are key components for understanding people. It seemed to me during my late teen years that psychology was a way of combining my observations that people (including myself) behaved irrationally with my cognitive predilections to seek meaningful connections among things. Since early childhood I also had an inexplicable need to help others.